T&D distribute a range of Bentonite that is a moisture retaining clay used as an earth electrode back-fill to help lower soil resistivity – the conductive Bentonite clay is a sodium activated montmorillonite which when mixed with water swells to several times its original volume mass when in a dry condition. Electrically conductive Bentonite is a thermally stable duct filling compound also used to backfill cable trenches containing copper electrodes, such as earth rods, used as specified in Appendix C of ENA TS 09-02. The earthing compound absorbs moisture from the surrounding soils reducing the contact resistance and in turn effectively increasing the size of the copper earth rods installed and buried in the cable trench. By reducing the earth resistance of the earth rod or electrode through the moisture retention process the Bentonite compound also reduces and protects against corrosion. Bentonite will absorb up to 5 times its weight in water and the moisture retaining clay will swell to thirteen times its dry volume – at 6 times its dry volume the earthing compound is very dense and in a pasty clay condition that can retain shape and adhere to surfaces. Bentonite hydrates chemically, holding water in its structure – the clay compound is non-corrosive, inherently stable and will retain characteristics as time elapses. The earthing compound mixture should be pumped into the cable duct ensuring the exclusion of air and on completion of the duct filling all ducts should be sealed to prevent any leakage or escape of the Bentonite. The earthing compound can be supplied in granular or powder form and has a typical expansion ratio when mixed with water is 2:1. 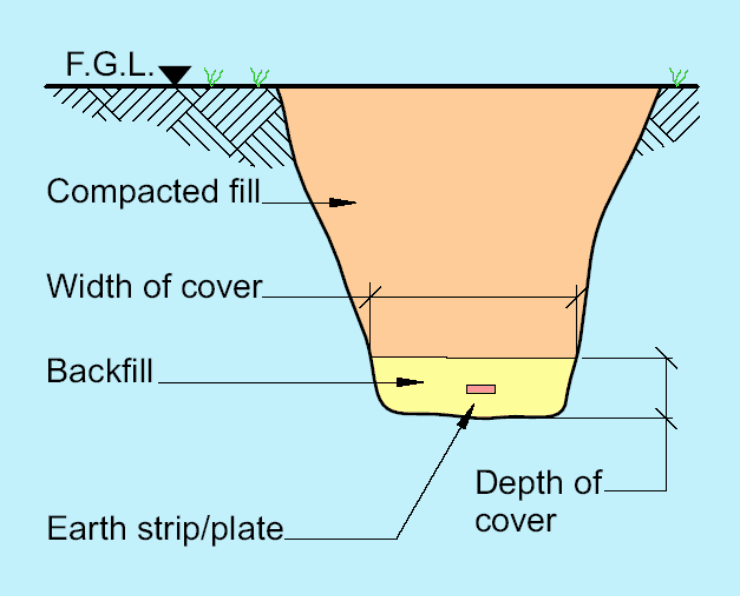 Granular is the preferred option for filling trenches as the substance can be mixed in the cable trench whereas powder is suitable for pouring into bore holes to ensure the mixture is a thin enough consistency to reach the bottom of the hole – granular Bentonite is easier to handle, process and use than powder type compound. 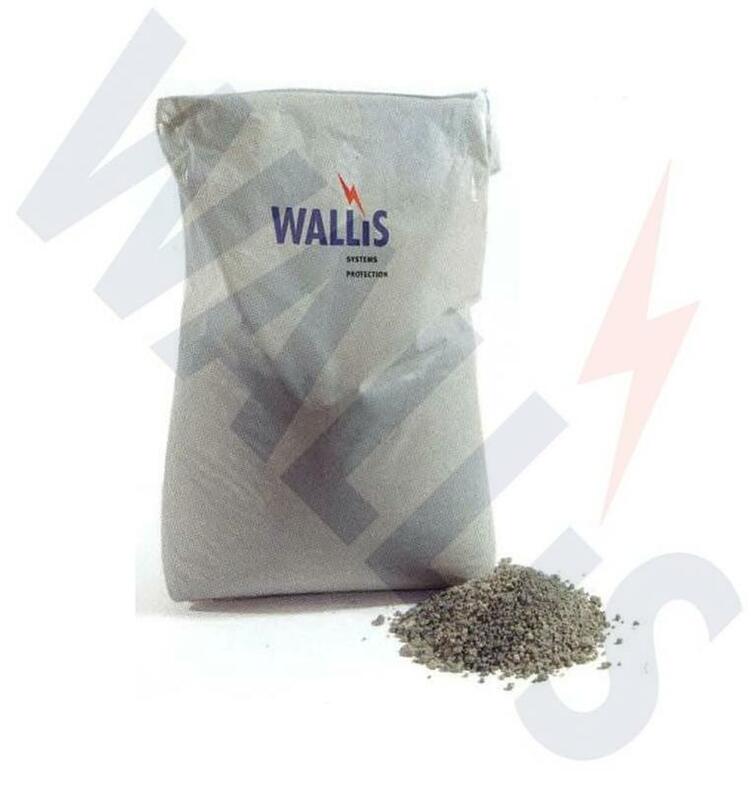 Bentonite is used to lower the resistance to earth by providing ground enhancement effectively reducing the resistance between the soil and earth electrode (such as copper earth rod or earth mats) by retaining moisture. This inherent ability to absorb and retain rainwater increases the electrical conductivity of the earthing compound in positive correlation to local climatic conditions, specifically average rainfall levels. Typically, the compound has a 3 ohms.m resistivity level – Bentonite compound is a cost-efficient material for backfill of earth electrodes and improving performance when it is physically impossible to drive the earth rods deeper and where challenging ground conditions exist such as rock, granite, etc. Chemical treatment or backfilling of the soil in close proximity to the location of an underground earthing electrode is an established and traditional method of lowering ground resistance for substation earthing on high resistivity ground – such soil backfilling for electrical grounding improvements is commonly used on LV MV HV applications. When soils and ground conditions are highly acidic, or alkaline, or suspected of being so, backfill earthing compounds or materials such as Bentonite can significantly extend the life cycle of bare copper earth tapes and earth rods. Furthermore, Bentonite retains water increasing the surface contact area with the soil and consequently reducing grounding resistance. Carbon-based backfills often contain other contaminants, such as sulphur and other elements which are harmful to copper and should be avoided. Pictured: a chemical-filled earth rod surrounded by Bentonite backfill (the white slurry) to improve electrical connectivity to the copper earthing system. The plasticity and viscosity of the earthing compound ensures simple installation and use by the utility or civil engineering contractor – there is no precise mixing ratio and this varies according to local electrical utility and DNO engineering standards and preferences related to ground conditions and resistivity readings. The compound should be mixed thoroughly and vigorously with water to achieve an even consistency in slurry type form to suit pouring into the cable trench, bore-hole or worksite. The expansion rate of Bentonite is relative to the volume of water used to create the earthing compound mixture. As a rule of thumb we recommend to assume a 2:1 expansion ratio. For the installation of an earth rod or electrode into a borehole the following procedure is recommended. 1 Bore/auger a hole at the desired earth rod location of 75-100mm (3-4 inches) diameter. 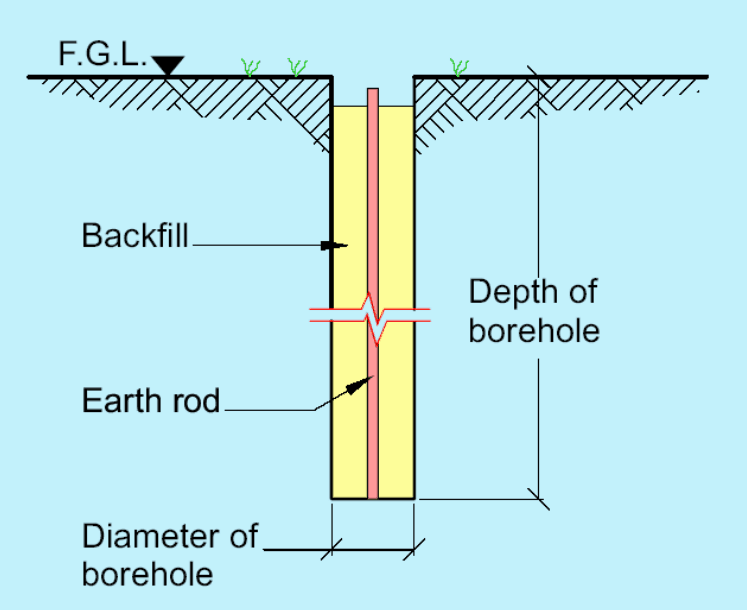 The depth of the bore hole should be determined by the earthing system designer. 2 Insert the copper earth rod into the borehole – ensure that the top of the eartth rod is at the correct level for connection. 3 Backfill the borehole with Bentonite – this will be mixed with water an now in a slurry condition. Regular stirring or agitation of the earth rod should ensure that no voids are formed within the backfill of the underground trench. 4 Remove any standing water from the top of the borehole. 5 Make final inspection to the earth rod and make good i.e. fit the earthing inspection chamber. 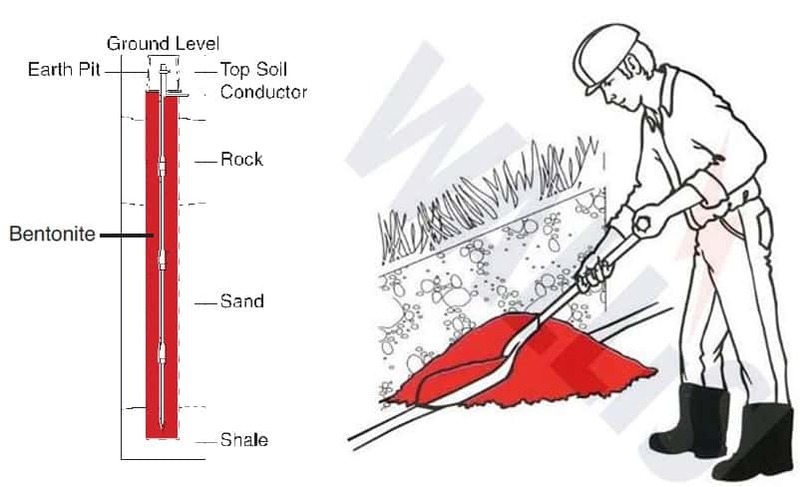 For the installation of an earth rod or electrode into a trench the following procedure is recommended. 1 Dig a trench at the required earth strip or electrode location of 200-300mm (8-12 inches) wide. 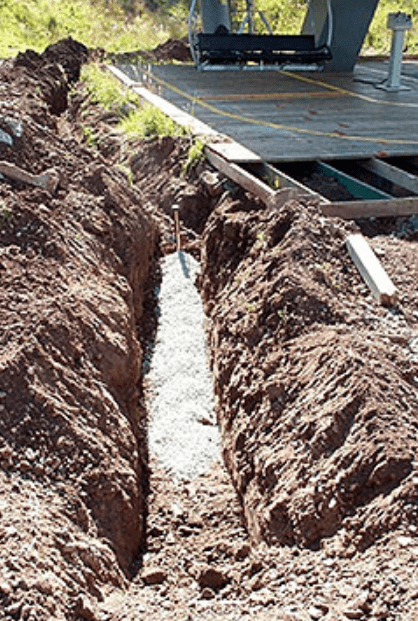 The depth of the trench (typically 600mm) should be determined by the earthing system designer. 2 Cover the bottom of the trench with a stiff mix of Bentonite compound 25-50mm (1-2 inches) thick. Lay the earth strip into the trench. Ensure that the copper strip electrode is not depressed too far into the Bentonite. 3 Apply another layer of Bentonite 25-50mm (1-2 inches) thick. Ensure that the strip electrode is fully covered. 4 Carefully backfill and compact the remainder of the trench. Should you require competitive prices and fast delivery from extensive stocks for Bentonite earthing compounds to UK or international locations please do not hesitate to contact us.